Hey Everyone! I have been doing much better with posting more frequently now that the holiday madness is mostly over. I trust that each of you had a great holiday and I hope that each and every one of you have the most amazing year. I pray 2017 is your best year yet! I'm sad to admit it but this year I didn't hand out 1 handmade Christmas Card, because I didn't have enough in my stash for everyone, so didn't think it fair that only some people got handmade cards and that others didn't. That's why I am so grateful to be on the Design Team for Christmas Card Challenges, because its going to force me to get all my Christmas Cards done this year so that everyone of my family and friends can receive a handmade card from me. 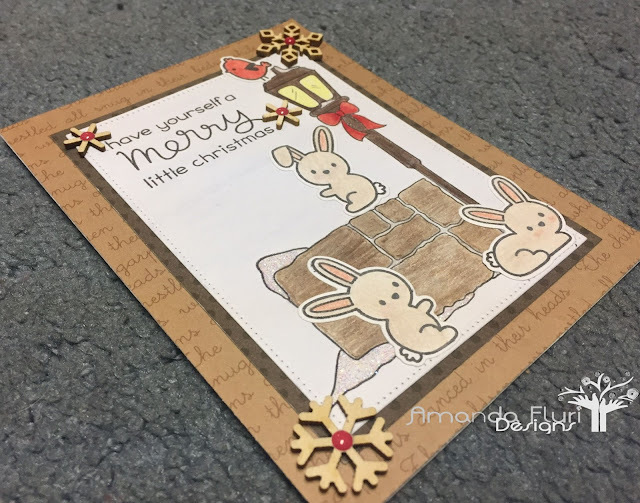 I am here this week to share with you Christmas Card Challenge #3. If you want to play along please visit the blog for challenge rules. I struggled quite a bit with this challenge, because I wasn't sure what to use with the colour scheme. I was thrilled though that my Christmas gift from my amazing boyfriend would really help with this challenge, and I couldn't be more thrilled with the way that this card turned out. Not to mention that playing with new goodies is always a good time. Its all I want to do currently is just play with my new goodies! I love how these images, and sentiments could be used to create a variety of scenes and winter scenes, and how you can use them for other seasons too. Paper Trimmer - used to cut the different layers of the card as ell as the card base. Double Sided Tape - used to attach various layers of the card together. Cuttlebug - machine used with the dies to cut out the various pieces of the card. Love it! Your card is adorable Amanda! Hope your holidays were fabulous. Thanks Rema! Im in love with these new little bunnies! I hope that your holidays were wonderful too! This is super cute Amanda! Amanda, great card! 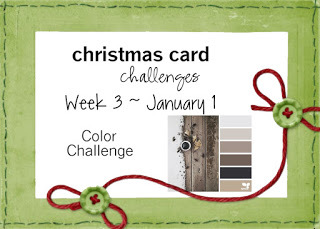 I love Lawn Fawn, your colors are just perfect for the challenge. I only had 1 Lawn Fawn set before these, and am absolutely loving them, my boyfriend did a fantastic job choosing out these stamps for my Christmas gift. Thanks for the love though! What a cute scene..love the lil bunnies!! Such a sweet card! I love those bunnies! I can't wait to play with them for other occasions too! I think my boyfriend bought these because of our bunny and he knows how much I love her! Thanks for the love! This card is so stinkin' cute! Love those sweet little bunnies!